During Gough Whitlam’s term as prime minister in 1972 to 1975, a bill was passed providing for universal health insurance (known then as Medibank and today as Medicare). The underlying principle was that all Australians were entitled to good health, regardless of wealth or status. Funding for the system was from income tax. This has been the case ever since, no matter what party was in power. No cuts to the ABC or SBS. After winning government, the party presented its budget on 13 May 2014. Since then there’s been constant, and often heated, discussion of the merits of the various changes to taxation. Much of the discussion centred on whether the provisions of the budget were consistent with the pre-election pledges. But increasingly, attention turned to whether the new taxes and charges were fair. The particular new tax I want to talk about is the sick tax proposal. This is the new $7 co-payment for doctor’s visits. Actually it’s broader than that; it also covers many other health system services, such as x-rays, scans and blood tests. For more on this see http://greens.org.au/magazine/national/7-co-payment-see-doctor. Free universal health care costs a lot, and someone has to pay for it. Our taxes pay for it, but the Government says the costs are unsustainable. So the Abbot government came up with this idea of convincing people to visit the doctor less by making them pay $7 extra every time they visited the doctor or had lab tests done. Despite the spin, everyone noticed straight away that it was indeed a new tax, and was therefore another broken pre-election promise (no new taxes). And then some people started to question whether this was even in the best interests of national health. What if the sick tax actually worked, and some people visited the doctor less? What if the early signs of disease were missed because of this, and diagnosis was made much later when the condition was chronic and much more difficult and expensive to treat? And then health-care workers and charities began pointing out that the disincentive to use health care would be stronger for poorer people. At the extremes, the wealthy could easily absorb the cost, while at the other end of the spectrum, the single mum with two kids struggling to make ends meet, might be tempted to skip those inoculations against whooping cough, tetanus, diphtheria, hepatitis and polio. Similarly, the unemployed and the elderly pensioners might also decide to skip a doctor’s visit if it was a choice between that and eating. In other words, several visits to doctors, some x-rays and a blood test might push some families over the edge. 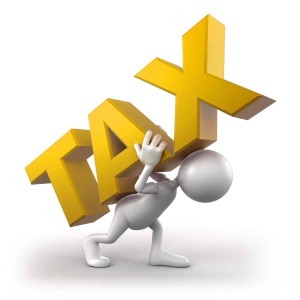 A progressive tax is one that is proportional to income or wealth. In simple terms, the rich pay more than the poor. A regressive tax is one that hurts poor people more than the wealthy. In Australia, income tax is an example of progressive tax. A flat tax, like the $7 co-payment, is a regressive tax. The unemployed, the aged, the sick and the homeless have to pay the same amount as millionaires. It hurts the poor more than anyone else. So what was really going through the minds of the Abbott ministers when they hit on the idea of a regressive tax on sickness? The health care system was being overused by people who were not really that sick. The people who were overusing it were the low-income, marginalised members of the community. So this was a tax aimed directly at those who could least afford it, with the clear objective of making them use less health-care services. However no evidence was ever presented to support their view that the system was being rorted or over-utilised. It flies directly in the face of research that shows wealth is a predictor of health outcomes. In other words, the wealthy as a rule are healthier than the poor. How could anyone with an ounce of compassion come up with the idea of punishing the sick because they’re using too much of the health care budget? How mean and unconscionable is it to make it harder for the least healthy and most vulnerable members of the community to manage their health problems? Whenever you hear talk of a new tax, or changes to existing taxes, ask whether it’s progressive or regressive. If it’s regressive, such as a flat tax on petrol, or an increase to the goods and services tax (GST) then it’s intended to hurt the poor more than the wealthy, no matter what spin the politicians put on it. Then start thinking about the morals of the politicians who are proposing the scheme and whether they are really representing ALL Australians. Fortunately the sick tax has been frustrated by opposition in the upper house of the parliament, and seems unlikely to see the light of day any time soon. The reason for this is more to do with the fragmentation of power rather than the compassion of the politicians in that house. Tagged Abbott government, Australia, health, health system services, Tax reform. Bookmark the permalink. ABC news is reporting this evening that the co-payment is to be abandoned. The Abbott government has abandoned the $7 co-payment (tax on the sick) after it realised it could not sell it to the public, the doctors or the senate. It has replaced it with a new proposal that reduces the bulk-billing rebate to doctors by $5, and also allows doctors to pass on the $5 to adult patients who are not concession card holders. In an article in the Conversation, Jim Gillespie, Deputy Director, Menzies Centre for Health Policy & Associate Professor in Health Policy at University of Sydney, says it is still a cost shift away from the Government towards individuals, but this time with doctors squeezed in the middle. It’s almost like payback for the strong criticism the original government $7 tax received from doctors. Part of the latest plan has just been dumped by the new Health Minister Sussan Ley after it became clear it had no chance of passing the Senate next week. This means the $20 reduction in the bulk billing payment to Doctors for consultations of less than 10 minutes will not go ahead, but the $5 co-payment aimed at reducing the frequency of doctors visits will still go to the Senate about the middle of the year.